Donation Nation Care Packs is a wonderful program for charity which will have your group navigating through a series of engaging activities leading up to the assembling of care packages for people in need. Items for the care packages will be chosen based on the specific needs of that organization. 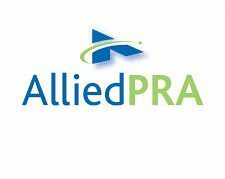 Recipient examples include homeless shelters, food banks, hospices, nursing homes, and other community and social service agencies. Our Donation Nation now features Apple iPads® delivering text, audio and video clues, exciting gaming challenges, and the ability to capture and save all your memories of this heartwarming event with photos & videos of your teams in action. 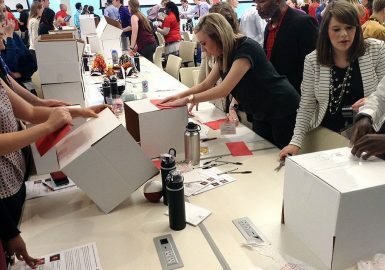 The process for building care packages will start with the formation of sub-teams who participate in a series of fun and challenging icebreakers and teambuilding activities. Through these challenges, teams earn points, which enable them to acquire the contents of the care packages. A running scorecard is posted to increase the excitement and energy! A representative from the chosen charity may surprise your group, speaking passionately about the goals and mission of the organization and joining them for the final stages of the care package assembly. This inspiring, morale-boosting event may include personal touches in the form of letters and messages written by participants to the recipients of the packages. Clone your lead facilitator! 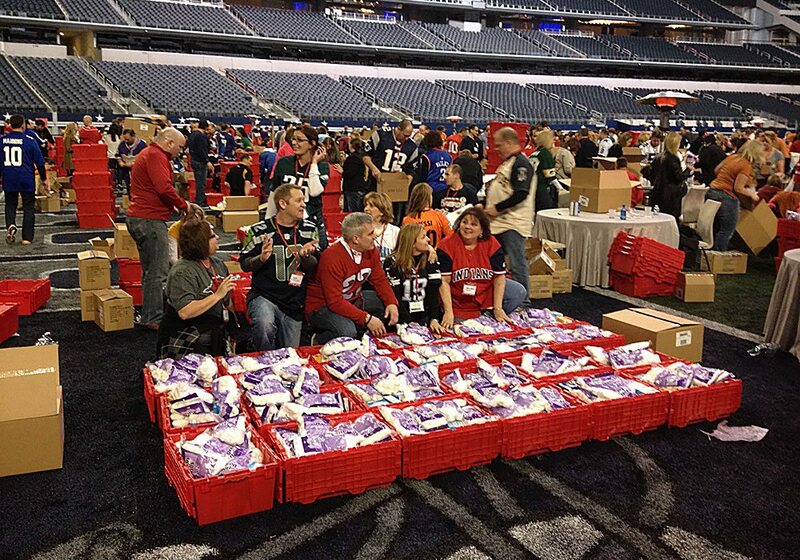 Our Donation Nation program was extremely well organized. 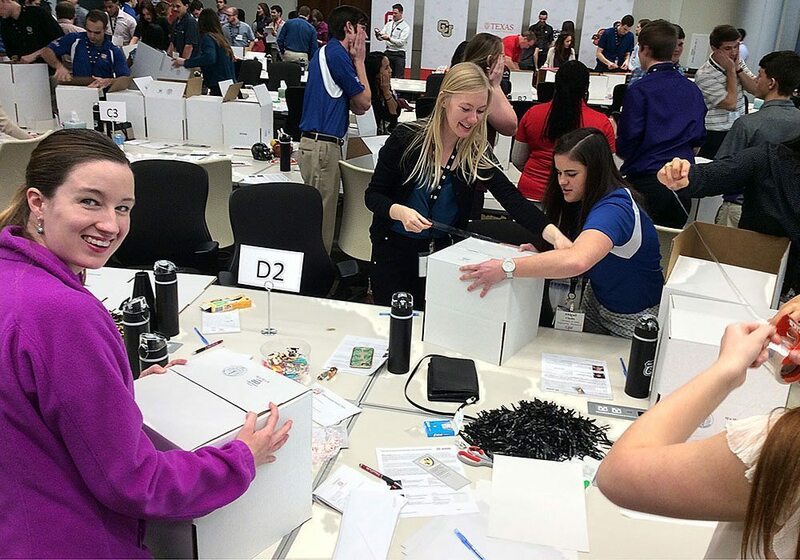 The Ice Breakers and iPads contest were fun, but the most important aspects of the program was the closer bonds developed among team members and also giving back to the local community via charity. Our team loved it and wants to do it again! 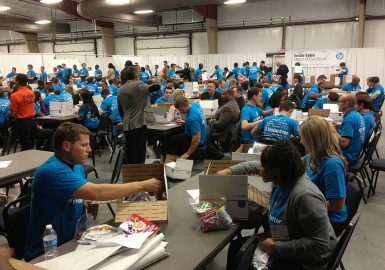 Our 900-person Donation Nation Care Packs program was very organized and well run! The entire event was a great team builder. Our large group had a blast and completed the entire exercise in record time. The building of the care packages and the personalized note cards at the end was the most fun. Your lead facilitator was fantastic throughout the process of managing the non-profit and the entire charitable component, and all of the logistics that went along with that. I had many compliments on how smoothly it ran and how well organized it had been. Thank you to our facilitators who were on site and prepared with plenty of time in advance! It was extremely organized and we all appreciated it! 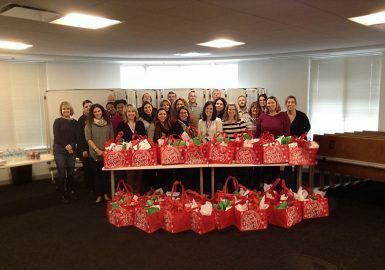 Our entire Donation Nation Care Pack program was fun and a great team builder. Our group LOVED the activities and the charitable aspect of the program. 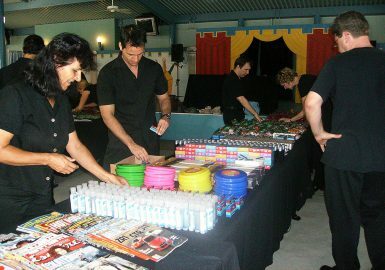 The event was more than amazing, I had men telling me they had to hold their tears back when they saw the kids. Your facilitator was amazing as well, a great person to work with. I will definitely pass your company’s info along to my colleagues and hope you get calls soon! Thank you all for a phenomenal job! Thank you all very much for the donation. We have received the bags, absolutely beautiful and greatly appreciated. They will be delivered to the women and children’s center this week. Thank you for including some beauty supplies along with all necessities these women and children need to get through their trying time. If you would like to take a tour of our Miami center or be a part of our radio show, please let me know, we’ll love to have you. Thank you for facilitating such a meaningful program. 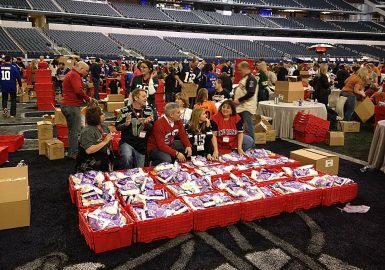 Your Donation Nation program that helped our schools and local charities had a profound effect on the group. 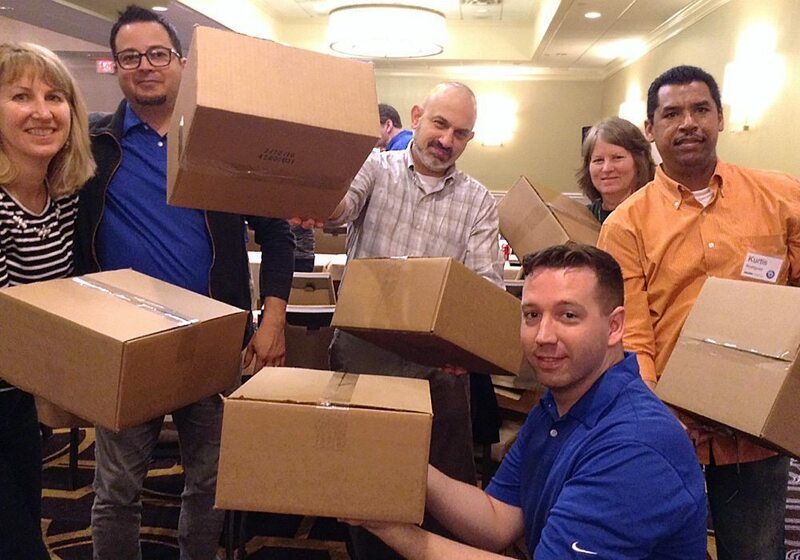 Our Donation Nation Care Packs program with iPads was high energy and encouraged team support and participation. Plus, it was fun! There wasn’t any aspect I felt could have been improved upon. I wanted to take a minute to let you know how much we enjoyed working with your team. Everyone was extremely professional and friendly. The entire group had a great time and your lead facilitator got lots of laughs and participation. I would be happy to be used as a reference for future clients and would not hesitate to use you again in the future. Thank you for facilitating the Donation Nation program for our group. 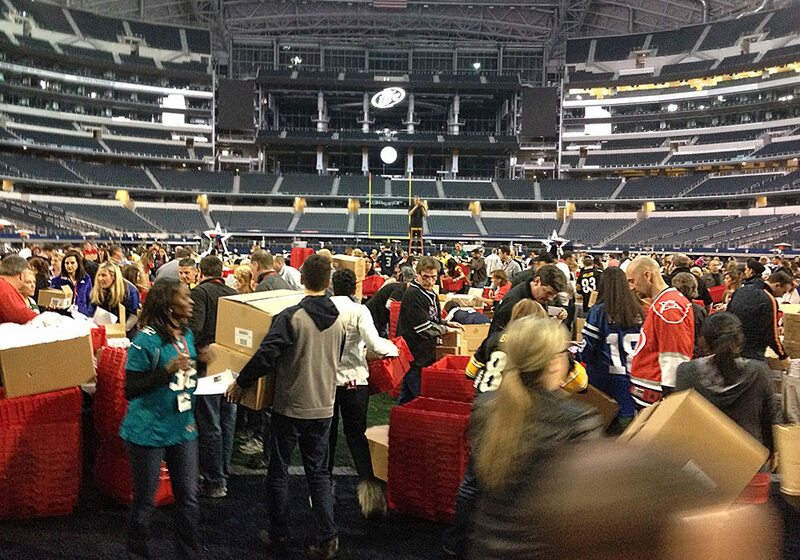 It was important that we did something that involved giving back to the community. 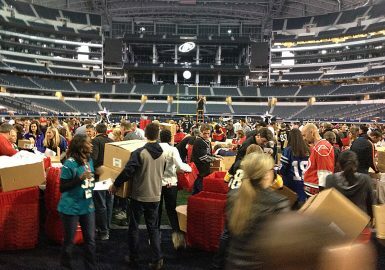 The event was so meaningful and brought awareness to our team about the needs of others. Thanks! I think our interns really enjoyed the entire Donation Nation Care Packs program. The use of the iPads to do team activities and collaborate together was great and your lead facilitator was phenomenal. He was on time, organized and enthusiastic throughout the entire day! The program was interactive and competitive but most of all rewarding. We had a speaker come in from the organization that was accepting the donations so this really helped resonate the charitable aspect with the group. Thanks again for all of your help and for thinking of nearly everything in order to make it a smooth and successful event! Pricing varies depending upon the number of participants (minimum of 30) and includes all the items in the Care Packages, the team building program, prep, production coordination and all materials, program design, a professional facilitator, staffing and coordination with the charity.